I was commissioned by Tyranny Games to create art for their new card game Sack Armies, a game of military conquest. These images are the property of Tyranny Games and cannot be used without their permission. 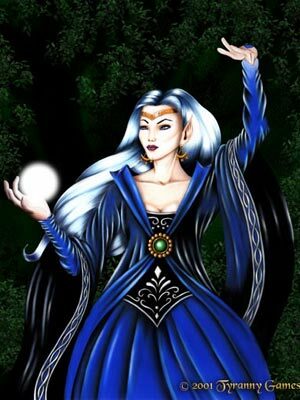 The Court Witch brings her visions of the future and her knowledge of all things arcane to the Fey Court forces.